Call monitoring software is an essential tool in the smooth operation of any customer contact center. Whether a call center is small or large, inbound or outbound, or in any industry- it can benefit from call monitoring software. At its most basic, call monitoring software is a program that facilitates the recording and/or monitoring of customer interactions. This is usually telephone calls, hence the name, but can also extend to emails and chats. Call monitoring software allows companies to ensure customer service and call center quality by identifying lapses or opportunities for improvement in customer interactions. 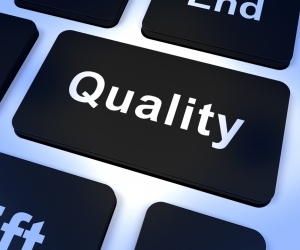 Why is call monitoring software essential for quality assurance? Call monitoring systems give a company a clear and accurate view of agent performance. Without monitoring, it would be difficult to identify where customer service could be improved or what the agent training needs are. It would also make performance management problematic. If agents are aware that their calls are being monitored or recorded at specific times, it is likely to change their behavior. Instead, call monitoring software can be random and is “blind” to the agent. This allows quality assurance to gather the most accurate possible data. What does it take to implement call monitoring software? The beauty of call monitoring software is that it can be designed to do as much or as little as your organization desires. If you choose a customizable solution, you can control the scope, features, and expense of the system you implement. Larger call centers and those in sensitive industries may opt for a more robust solution with add-ins and links to existing systems. A smaller operation might be better served by a more streamlined software package. Work with your vendor to evaluate the specific needs of your organization. It’s clear that call monitoring software is essential for quality assurance in a customer contact center. To get the most out of your call center monitoring solution, be sure that you are working with an established and experienced partner to develop and implement your software. To learn more about how your organization can implement customized call center monitoring software to enable and enhance quality assurance programs, contact the experts at Evaluate Quality, founded by Sage Advantage. Whether you are in the Phoenix or Scottsdale AZ area or elsewhere in the US, the experienced team at Evaluate Quality can help you design a call center monitoring program that meets your contact center’s needs. Evaluate Quality is headquartered in the Scottsdale/Phoenix AZ area and has helped many inbound and outbound call centers in various industries throughout the US implement call center reporting. Contact Evaluate Quality now for your no obligation demonstration of their software solutions.